Grandma was gone all day yesterday as I had an opportunity to take a bus trip to a large quilt show in Chautauqua, NY. I left the house at 5:45 a.m. and returned home just before 9:00 p.m. 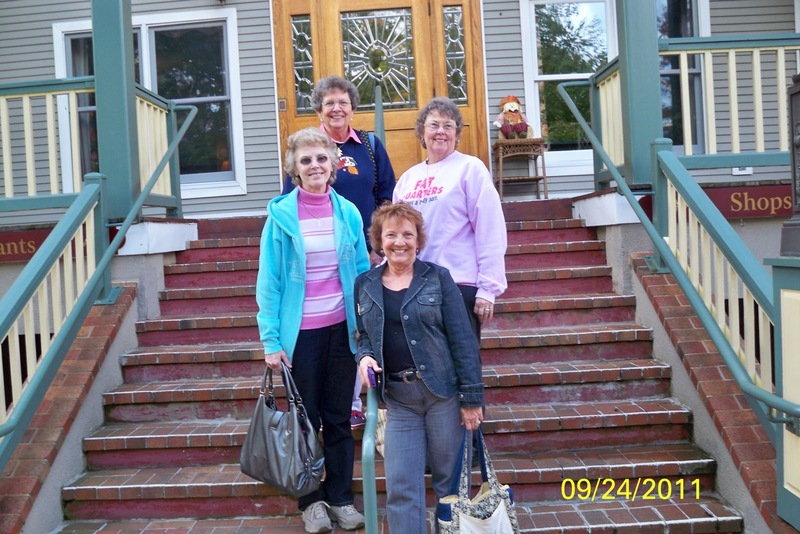 The gals I went with were Ruth Sheehan, Judy Toth, Barb Beijer and Peggy Bunner. Peggy lives on Brosius road and I have never met her. Can you believe that? Kathy had told me her friend, Mim, was doing the same bus trip and maybe I would see her. Well as it turned out Mim came on our bus and stopped and asked if the open seat was taken. We said no and she said "My name is Mim". I couldn't believe it. So Mim was a part of our group for the whole trip. 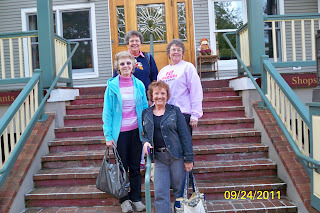 Barb and Peggy went their own way at the quilt show and Mim was with Ruth, Judy and myself. We had such a nice time and I have a new friend. Today, Tori was Baptized at her church this morning. Grandpa and I watched it on our computer since it was live streamed. It was beautiful and if you get a chance ask Tori about her decision. Congratulations Tori! Today is John and Deb's Anniversary. Looking forward to hearing how they spent their weekend. bringing his love down to this earth.